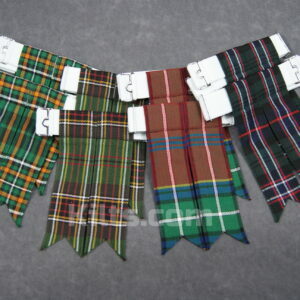 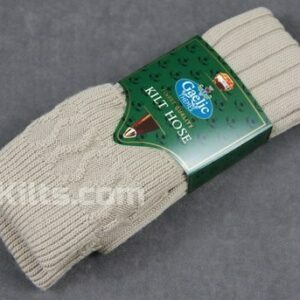 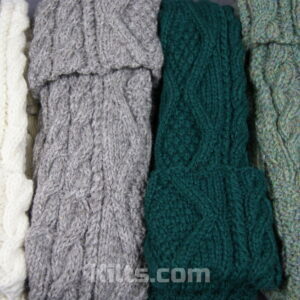 In order to complete your kilt outfit, selecting the right kilt socks or kilt hose can be crucial. 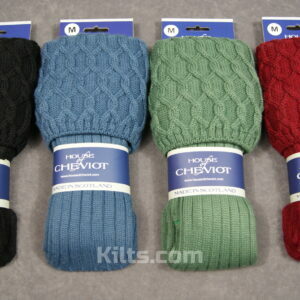 Certain socks will not go with some tartans and the etiquette of what sock to wear can vary depending on the occasion. 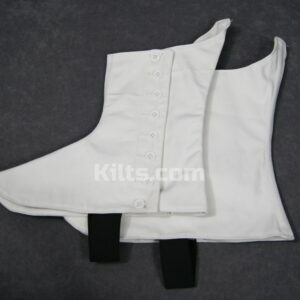 For example, if you are attending a wedding, cream kilt hose should be chosen over black for example. 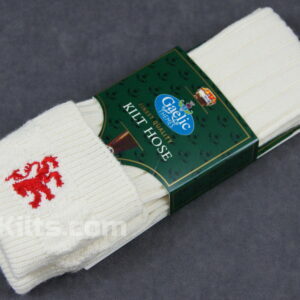 Our kilt hose are made of the finest high quality materials, including wool, and they are all made in the UK. 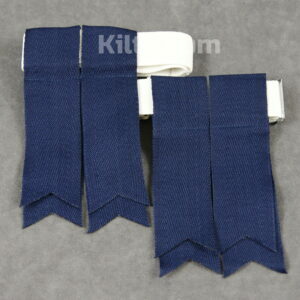 Once you have selected your kilt sock, make sure you then choose kilt flashes to go with them. 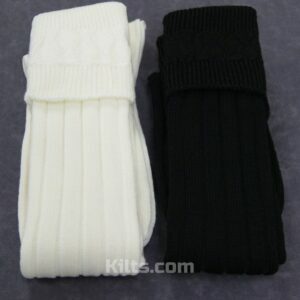 They can be best compared to garters which are there to essentially keep your hose high up your leg while they are being worn. 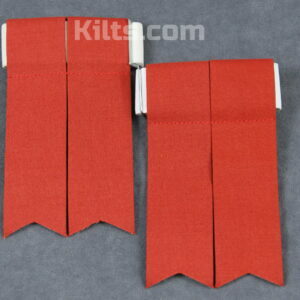 They also act as a decorative addition to brighten up the lower leg, and they tend to be made of either a tartan, or grosgrain ribbon.